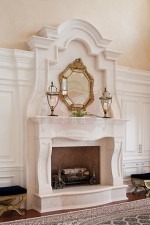 This inspirational French limestone fireplace surround will accentuate your luxurious home’s living room. 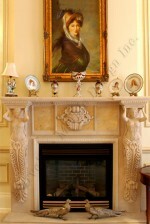 Artfully hand carved from this pale but very dense stone, the piece is very hardy - sure to outlive many people. 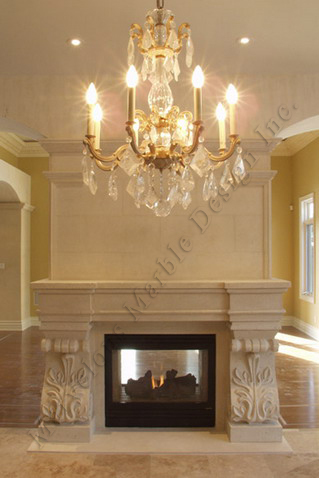 The natural look of the stone closely resembles that of English Portland limestone with a light creamy pale background with small light grayish shells. 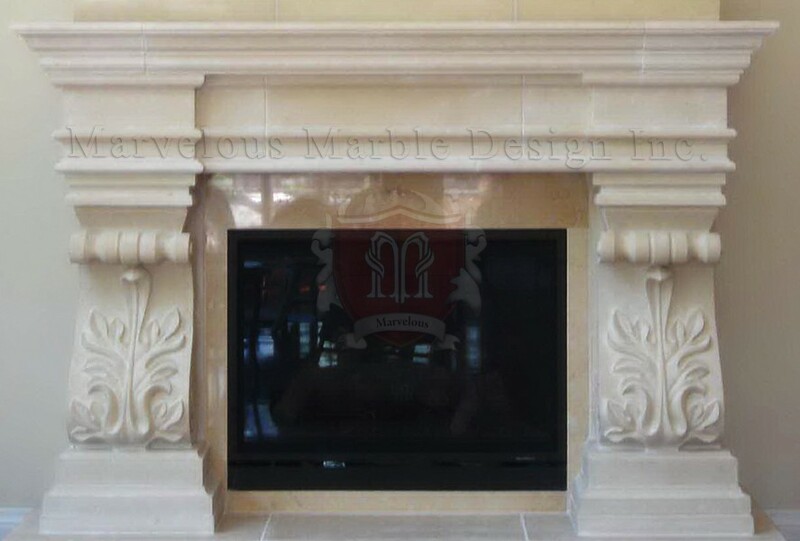 This luxurious fireplace mantel surround soon becomes part of your home’s décor complementing and accentuating your interior’s décor. 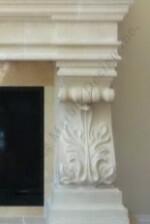 It features two large gorgeous floral patterns on both ends of the base. Imagine relaxing next to this beautiful piece of art as you enjoy a sip of your favorite beverage or read one of your favorite books. 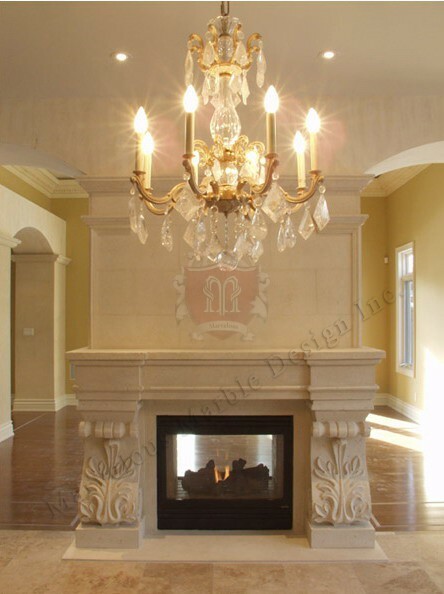 This is a very popular mantel surround in custom built homes in California. Overall Size: (W X H) 78"X50"Opening Size: (W X H)42"X37"